Ready to add some festive flair to your December spread? 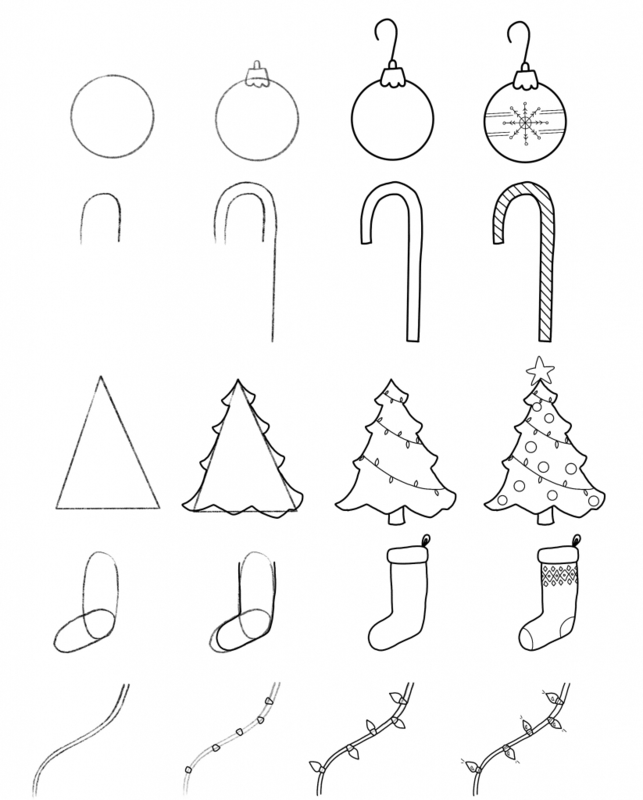 Try your hand at these step-by-step Christmas doodles for your bullet journal with this free printable guide. This year, I took a more “minimal” approach to my December spread. And, mind you– the word minimal is perceived differently by everyone. 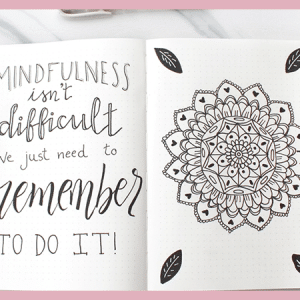 For me, it means fewer doodles, less time, but still somewhat artsy. You can see my December Plan With Me Video Here. But, shortly after completing my December spread, I had a bit of regret. You know, minimalist remorse? I just made that up. But the lack of doodles in my journal left my right hand a little sad that I hadn’t yet drawn any Christmas doodles. I still love the soft, dreamy winter wonderland vibe of my December spread. Want your own winter wonderland theme for December or January? 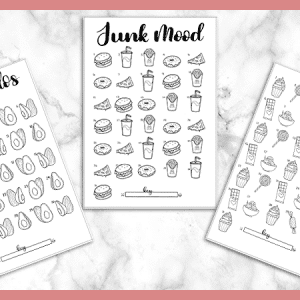 Check out winter wonderland printable sticker pack that’s in my shop. But, alas, I was itching to do some Christmas doodles. And honestly, I’ve been like a hermit, glued to my iPad Pro and Procreate for the past couple weeks. 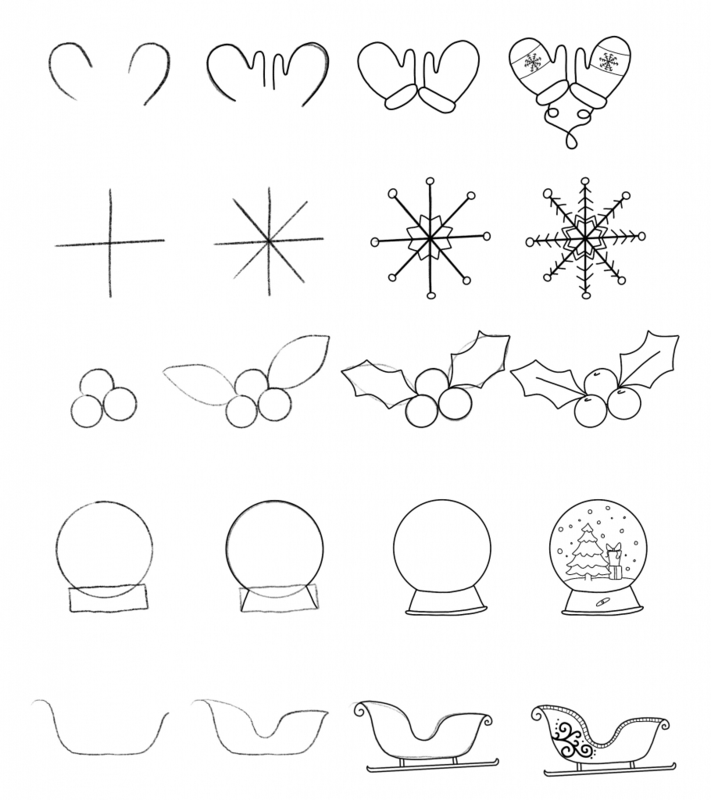 So, it seemed like the perfect time to create this Christmas Doodle Guide for you guys. 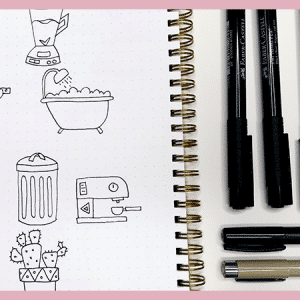 All of the doodles in the guide are simple, 4-step doodles. And all you will need is a pencil, eraser, and your favorite black drawing pen. 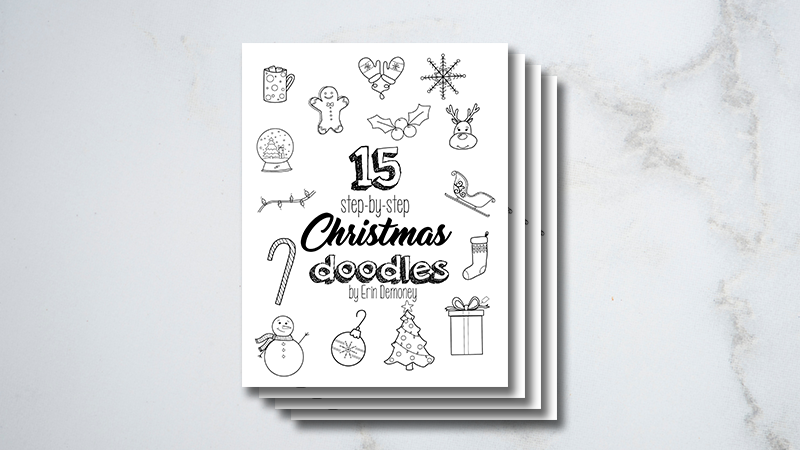 The printable guide includes all 15 doodles in step-by-step format, exactly as seen in the images below. Every doodle starts with pencil and I will show you when you can switch over to a pen. But, feel free to continue to use pencil until the end and then retrace in pen. or make you own Christmas cards. 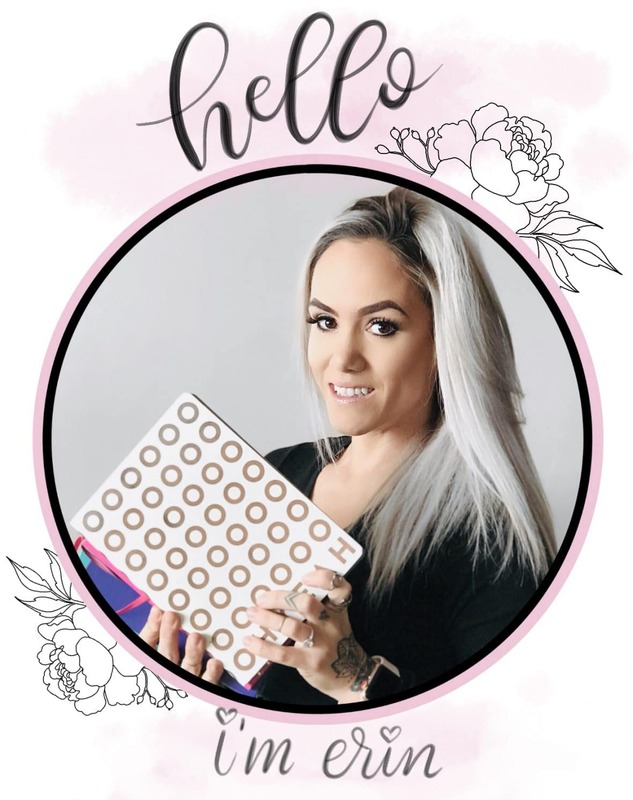 Download your free guide by subscribing below. 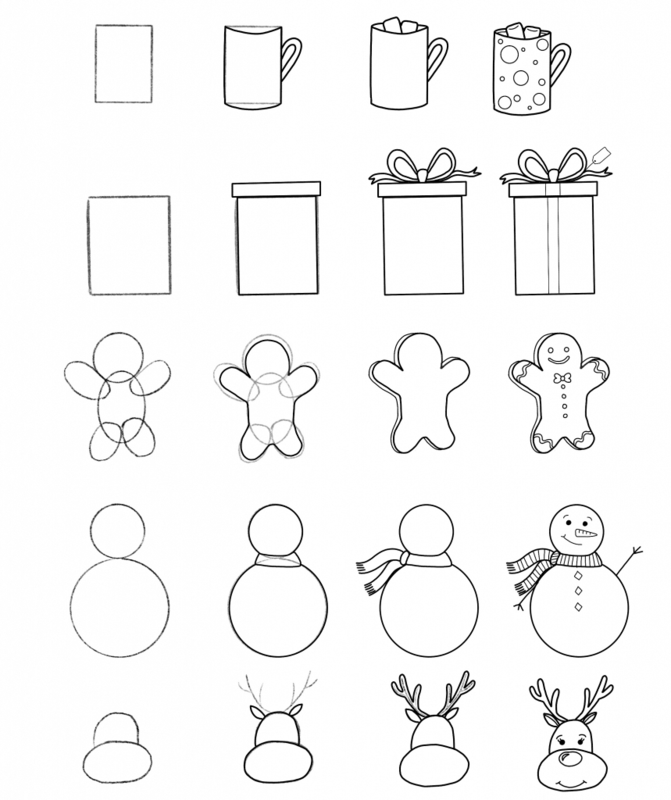 When you subscribe you will instantly receive your free download of the Christmas Doodles Guide and you’ll get access to the Free VIP Resource Library where all of my free printables live. I hope you enjoy drawing these as much as I did. And most of all, I hope you have a wonderful Christmas with lots of love, laughter, and good food. So glad you like them! Thank you for the kind comment!